Psychédelique is a popular perfume by Jovoy for women and men and was released in 2011. The scent is earthy-spicy. The longevity is above-average. It is still in production. Psychedelique opens with a quite sweet and almost ginger-like dark candied fruit accord before it changes completely as it enters its mid-section. As the fragrance enters its early heart, the candied fruit from the open begins to slowly morph into a relatively clean musk, slightly sweet amber and earthy patchouli starring trio with dark rose support with the overall early heart accord coming off as a rich dark chocolate. As the fragrance enters the late dry-down, the patchouli takes over in a big way with the amber and musk still present now firmly in supporting roles. Projection is above average and longevity outstanding at over 12 hours on skin. Psychedelique provides the wearer with quite the ride. It starts off with a nice sweet gingery drunken fruit that turns into to a dark earthy chocolate before finally revealing its true nature in the later part of its dry-down as it proves a real earthy patchouli bomb. When you examine the sparse official list of notes, one might expect a fragrance with a completely different profile but Jacques Flori does a fine job taking familiar notes and accords, skillfully combining them in interesting ways to reveal unexpected surprises. The open and close are the most appealing parts of Psychedelique's development to this review's preferences, as the earthy dark chocolate mid phase is just a bit too gourmand-like. That said, even during its least desirable parts the composition remains interesting and smells quite good. 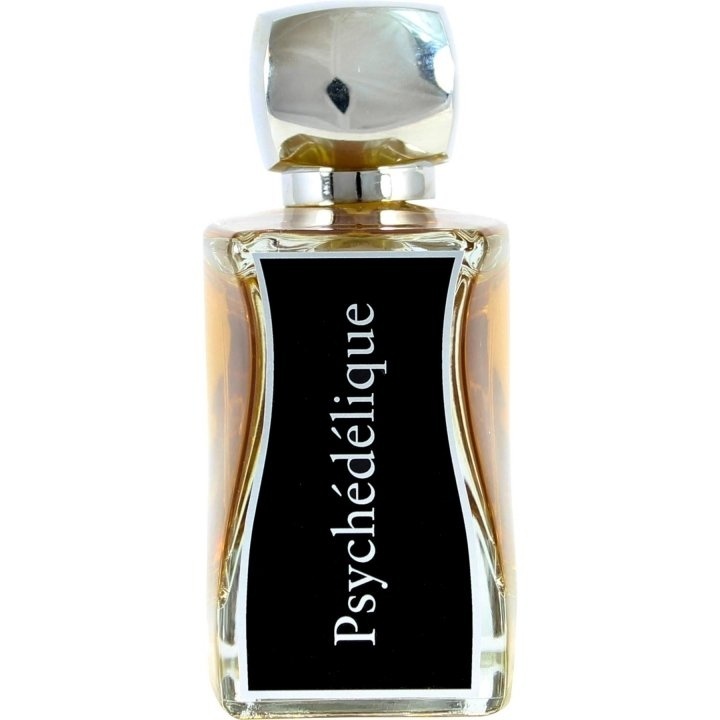 One observation made while wearing it on skin was Psychedelique smells much better when sniffed from afar (or on others) in sillage form rather than up close. The bottom line is Psychedelique is not without its flaws but they are rather minor, and this near excellent 3.5 to 4 star rated composition is definitely sniff worthy and maybe even purchase-worthy despite its $180 a 100ml bottle price tag. Recommended. Chill and let yourself go in the damp, musty, and sweet arms of Mother Earth. Peace and Love brothers and sisters. Let’s all sit together around a warm campfire in the woods after the rain, and feel our long locks gently brush the naked skin of our bodies, as we bask in the glow of the moon. Ravi Shankar and Joan Baez may be playing their funky music, but we’re talking Woodstock for the 21st Century here. The Age of Aquarius perhaps, but this is more Hippy chic than Hippy shack. A bombastic patchouli with a mega personality as it is known for, coupled with a healthy dose of yummy vanilla. Write the first Review for Psychédelique!